LSD (d-lysergic acid diethylamide) is a powerful hallucinogenic drug that distorts reality, creates sensory illusions (hallucinations) and affects mood and emotions. It is the most potent synthetic hallucinogen to be discovered and helped to fire the hippie movement in the 1960s. According to the United States Drug Enforcement Administration (DEA) fact sheet, LSD (also known as acid) is a compound synthesized from lysergic acid, which itself is derived from ergot alkaloids. These alkaloids are extracted from the Claviceps fungus found mainly on rye wheat. The chemical structure of LSD is similar to other hallucinogens such as mescaline and psilocybin and to the neurotransmitter, serotonin. Dr. Albert Hoffman, a Swiss chemist at Sandoz labs, synthesized LSD in 1938 while trying to develop a variety of ergot drugs to contract the uterus or treat circulation problems. In 1943 he returned to investigate the drug after setting his invention aside for five years. Dr. Hoffman details his synthesis of LSD and his accidental discovery of its hallucinogenic effects in his book LSD, My Problem Child. When LSD became the poster child for "psychedelic" drugs in the 1960s, Hoffman came to regret that his "child" had taken on a life he had not foreseen. In his book, Dr. Hoffman describes the effects of LSD based on his personal use of it and similar drugs. He also writes of the experiences of others, including Aldous Huxley, the British author, J Gordon Wasson, the American financier and Timothy Leary, initially a Harvard University psychologist and perhaps the most public face of the psychedelic movement. LSD is potent and it takes only a small amount to start a psychedelic "trip." According to Hoffman, within 30-90 minutes it puts the user in an alternate, distorted world, which he has no control over. Hoffman and others have described major sensory, behavioral and psychological distortions, visionary psychic effects and some lesser physiological effects under the influence of LSD. According to Hoffman, LSD appears to "affect the highest levels of intellectual function." It is a neuro-psychoactive substance which seems to hijack higher centers of the brain involved with sensory perception, mood and behavior and conscious control. It may cause these changes by interfering with normal signals between nerve cells, affecting primarily serotonin, though the exact mechanism is not known. The degree of effects varies from person to person, use to use, the psychological state of the user, how prepared he is for the effects and the environment in which the drug is taken (the so-called set and setting). The effects of LSD last for about 5-12 hours according to Hoffman, with the duration varying with the dose of the drug. Overdosage of LSD can cause elements of a "bad trip" including confusion, intense agitation, panic, or anxiety attacks, which can be treated with a tranquilizer. High doses of LSD also increase the chance of psychosis, usually treated with an anti-psychotic medicine. There has been no evidence for any direct adverse long-term physical health effects from LSD even after repeated use. Potential indirect dangers come from risk-taking and inappropriate behavior because judgement is impaired. A user may feel powerful and invincible and jump out of a window or walk in front of a car. 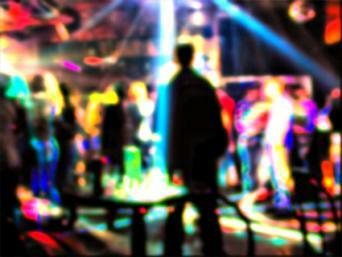 Once the effects of the drug have worn off, the user can resume normal activities as there appears to be no hangover. There are no physical withdrawal symptoms. Flashbacks of the experience can occur, which can be sudden, intermittent and persist for more than a year (hallucinogen-induced persisting perceptual disorder, HPPD). There is no craving or drug-seeking or addiction behaviors. Tolerance can develop such that more LSD is needed with subsequent use to cause an effect. This disappears if LSD is not used for several days. Cross tolerance for other hallucinogens can occur, but not for other addictive drugs such as heroin and cocaine. During the 1960s LSD use spread rapidly to all social classes. Even reporters presented themselves as guinea pigs for research. Because of sensational and negative publicity on LSD and other hallucinogens, in the late 1960s Sandoz labs (now Novartis) stopped producing LSD and research on the drug ended. LSD is now a controlled, illegal substance in the United States according to the DEA fact sheet. Though its use has declined, LSD is still available on the illicit market as a liquid, tablets, capsules, gelatin squares, candy on blotting paper and in other forms, all of which may be contaminated with other substances. LSD is only stable in liquid form when protected from light, otherwise it deteriorates quickly on exposure to air and loses its potency. Though users don't physically crave LSD and it is not addicting in that sense, people may abuse it for the excitement of the unusual "experience." Users should consider the increased potential for anxiety attacks and psychosis with repeated use and higher doses. In addition, it is impossible to know the dose of LSD or the risk of contaminants when the drug is obtained from illicit sources. As with any other drugs of abuse, users should seek help, such as behavioral therapy if they find themselves driven to frequent use.